Your family pet will look great in their photo printed on this on this Personalized Photo Christmas Stocking. 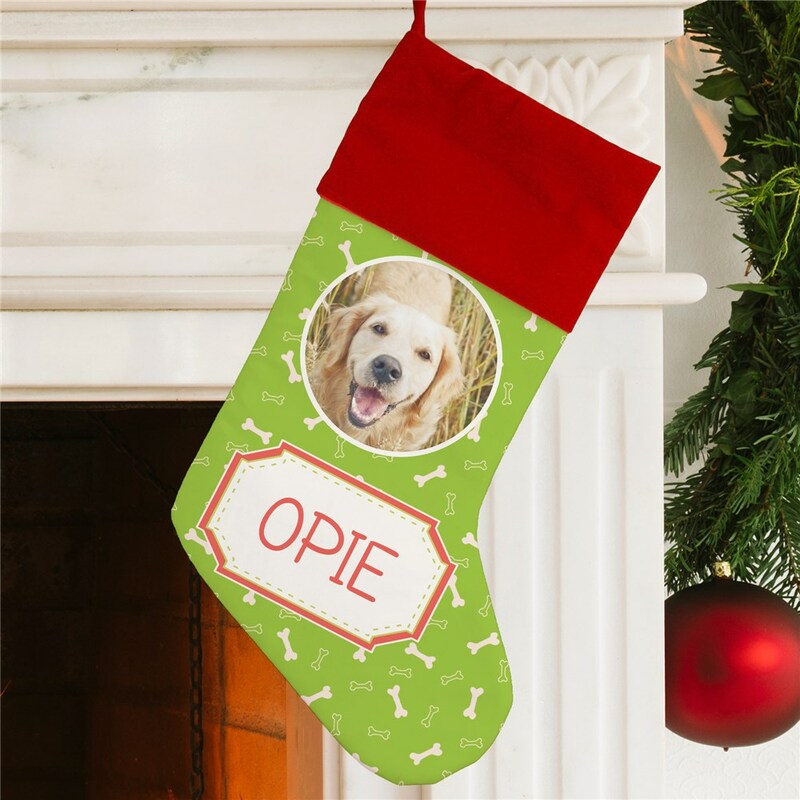 Featuring any photo you choose of your pet, these festive Pet Christmas Stockings looks great when hung with the rest of the family's. Free personalization of any name and photo is included. For production purposes, please enter a description that best describes the photo you are uploading. The stocking was very well made and adorable. I would reccomend this to anyone. The stocking is really cute and the picture came out very clear. I love it! Additional Details Shop GiftsForYouNow and you get FREE personalization on every Christmas stocking and gift. Check out this neat stocking for the family fish or this cute Christmas Cat Stocking! Shop GiftsForYouNow for personalized Christmas Stockings in time for the holidays.